The quintessential performance bottoms for active women will help you do whatever you love to do as efficiently and comfortably as possible. Insulating tights have no extraneous fabric to slow you down, and some even stabilize the knee for efficiency and injury prevention. Depending on the material, performance pants may dry quickly, wick moisture away from the skin, repel rain and prevent odors with microbial properties. They are stretchy for unsurpassable freedom of movement. 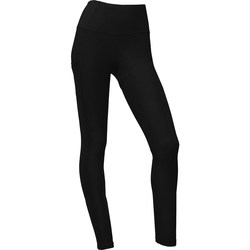 Performance bottoms come in numerous colors, such as black, brown, grey, blue and purple in solids or with colorful accents. Brands include CWX, Next Swimwear, Patagonia, Prana, Salomon and The North Face.